GreenMax offers financial, commercial, technical and strategic consulting services for the energy efficiency and renewable energy sectors based on its experience across a range of emerging markets, technologies, regulatory regimes, project structures and financial partners. The GreenMax team of experts has an extensive background evaluating project development potential in the economic and political realities of emerging economies. Our experts all have diverse work histories serving as commercial managers, project developers, investors, advisors, board members and entrepreneurs. Acting as advisors, primarily to financiers and developers, and with direct development experience ourselves, we bring the perspective of hands-on practitioners to each assignment. World Bank Regulatory Indicators for Sustainable Energy (Sub-Saharan Africa). GreenMax was retained by the World Bank to conduct extensive country-level data collection on renewable energy, energy efficiency and energy access in 13 African countries under the Regulatory Indicators for Sustainable Energy (RISE) program. The GreenMax team's assessment included a combination of desk research, interviews with key public officials and private sector stakeholders in Angola, Benin, Central African Republic, Chad, Eritrea, Liberia, Malawi, Mauritania, Nigeria, Sierra Leone, Somalia, South Sudan and Sudan. GreenMax was recently retained to update the RISE data for these countries. National Green Energy Fund Design & Implementation (Vanuatu). GreenMax was retained by the Global Green Growth Institute (GGGI) to prepare a comprehensive business plan to support development and implementation of the Government's National Green Energy Fund (NGEF). This assignment included analysis of the market to identify challenges in access to capital for sustainable energy market players as well as an assessment of financial instruments that the Fund could utilize to support off-grid energy sector development. As part of this assessment, the GreenMax team solicited feedback from all key stakeholder groups in the country, including financial and non-financial intermediaries as well as end-users (NGEF beneficiaries). Geothermal Energy Project Opportunities Review (Turkey). Under contract to the US Trade and Development Agency, GreenMax undertook a definitional mission to Turkey to analyze the market environment and recommend specific geothermal project developers and projects worthy of financial support. Wind and Solar Market Assessments (CEE). GreenMax was engaged by a leading private equity fund to analyze the regulatory environment, tariff structures and developer strategies for the wind and solar markets throughout Central and Eastern Europe. 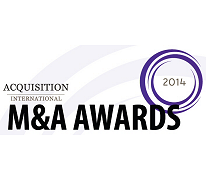 A series of acquisition candidates were identified including valuations, followed by detailed due diligence. Renewable Energy Project Opportunities Review (Egypt). Under contract to the US Trade and Development Agency, GreenMax undertook a definitional mission to Egypt to analyze the market environment and recommend renewable energy (primarily solar) project developers and projects worthy of financial support. Energy Efficiency and Renewable Energy Market Review (Western Balkans). GreenMax was retained by the European Investment Bank to provide an assessment of the investment opportunities (by country, sector and product) for a new sustainable energy fund launched in 2009 by EIB, KfW, EBRD and the European Commission. Waste to Energy Project Opportunities Review (Colombia & Chile). Under contract to the US Trade and Development Agency, GreenMax undertook a definitional mission to Chile and Colombia to analyze the market environment and recommend waste to energy project developers and projects worthy of financial support. East Africa Geothermal Market Scoping (Kenya, Ethiopia, Uganda, Tanzania, Rwanda, Burundi). Under contract to the International Finance Corporation , GreenMax prepared a comprehensive review of the geothermal energy market opportunities in six East African countries, analyzing technical resources, regulatory and institutional frameworks, industry players, risks and financing obstacles in order to advise IFC on suitable market interventions. Under contract to the US Trade and Development Agency, GreenMax has analyzed the market opportunities for smart grid development in both Romania and China. In Romania the result has been a focus on the Virtual Power Plant segment as the most promising near term opportunity due to Romania’s need to integrate increasing amounts of intermittent renewable energy to the grid. In China the focus has been on Smart Grid Communications at the substation level as the next stage of investment to integrate power system operations through real time information exchange. Geothermal Market Study (Dominica and St. Kitts & Nevis). GreenMax was retained by USTDA to provide a comprehensive review of the market for geothermal power development in Dominica and St. Kitts & Nevis. As part of this analysis, the GreenMax team identified key market players, projects in need of support and risks/barriers to further sector development in each country. Solar Energy Opportunities Review (Morocco). Under contract to the US Trade and Development Agency, GreenMax undertook a definitional mission to Morocco to analyze the market environment and recommend specific solar projects worthy of financial support. Our work resulted in grants being provided to the Morocco Solar Energy Agency (MASEN) for development of the country’s first CSP tower project and to the state owned logistics agency SNTL for development of Morocco’s first large scale rooftop solar PV installations. Wind Energy Sector Assessment (Vietnam). GreenMax reviewed the development of the wind energy sector in Vietnam in order to determine the necessity of introducing a wind grid code as a means to remove technical obstacles to expansion of wind energy implementation in the country. Clean Energy Project Opportunities Review (Kenya and Tanzania). Under contract to the US Trade and Development Agency, GreenMax undertook a definitional mission to East Africa to analyze the market environment and recommend specific clean energy project developers and projects worthy of financial support. Two agricultural waste to energy projects and one wind project in Kenya were promoted for USTDA grants. Geothermal Market Analyses (East Africa and Latin America). 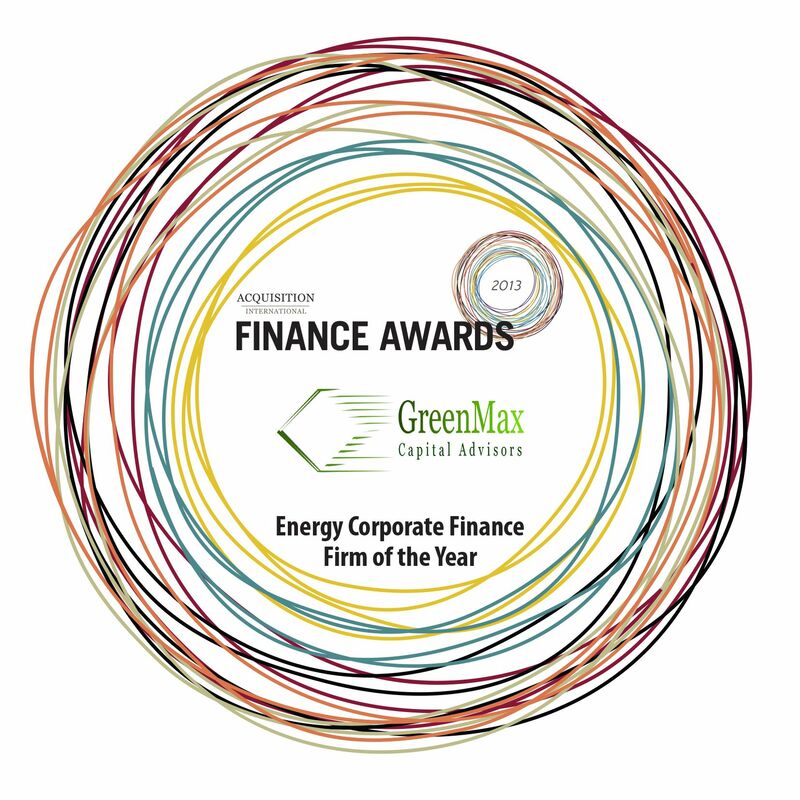 GreenMax was retained by the International Finance Corporation to undertake comprehensive reviews of the geothermal markets in 6 countries of East Africa (Kenya, Ethiopia, Uganda, Rwanda, Tanzania, Burundi) and for Chile and Peru in Latin America. The studies analyzed the technical potential, regulatory frameworks, progress of resource exploration and development and key market obstacles. Special attention was given to the need for risk sharing mechanisms to encourage and hasten exploratory drilling. Clean Energy Project Opportunities Review (Morocco). Under contract to the US Trade and Development Agency, GreenMax undertook a definitional mission to Morocco to analyze the market environment and recommend specific clean energy project developers and projects worthy of financial support. One CSP solar and one PV solar project were promoted for and received USTDA grants. Impact Analysis of Bank Credit Line for Residential EE Lending (Montenegro). GreenMax was engaged to assess the impact of a European Fund for SouthEast Europe (EFSE) credit line deployed by Opportunity Bank to single family residential home-owners, including a review of marketing, credit underwriting and loan administration procedures. Model EPC Contracts for Polish Hospitals (Poland). Under a grant award from the Renewable Energy and Energy Efficiency Partnership (REEEP), GreenMax developed the standard EPC contract forms for undertaking ESCO projects in the Polish health care sector. Caminus Municipal ESCO Loan Facility (Hungary). GreenMax served as financial advisor to IFC in evaluating a loan guarantee for OTP Bank's framework financing facility dedicated to building energy efficiency projects implemented by Caminus ESCO in small municipalities. Energy Efficiency Financial Incentive Review (EU). GreenMax was engaged by the European Climate Foundation to conduct a review of financing mechanisms used to promote energy efficiency in buildings, with the goal of drawing out a series of lessons learned to aid in the development of country level "National Energy Efficiency Funds". Warsaw Technical University Energy Efficiency (Poland). GreenMax acted as the financial advisor in an EU JASPERS funded consortium preparing a Euro 34 million energy efficiency upgrade for the university. Energy Efficiency Market Assessment (Chile & Ukraine). GreenMax carried out separate projects to assess energy efficiency sector projects in Chile and Ukraine on behalf of the USTDA. Under contract to the International Finance Corporation, GreenMax analyzed the housing condominium legislative frameworks and financial mechanisms to facilitate renovation investments for energy efficiency in six Eastern European countries – Estonia, Latvia, Lithuania, Slovakia, Hungary and Poland in order to identify best practices that would inform the development of a new framework in Russia. Low Income Multifamily Housing Energy Efficiency Mechanisms (Poland). For the World Bank, GreenMax is conducting a study to determine how to increase the participation of low income households in the public mechanisms to promote energy efficiency investments in Poland. Municipal Energy Efficiency Financing Mechanisms (Ukraine). For the World Bank, GreenMax analyzed the opportunities for energy efficiency investments in two segments of the Ukrainian public sector – municipal utilities (water, heat and street lighting) and municipal buildings. After a study of legal and regulatory frameworks covering budgetary, banking, public finance, public procurement and energy laws, financing mechanisms were designed with a roadmap for implementation. Building Energy Efficiency Financing Mechanisms (Kosovo). For the World Bank, GreenMax analyzed the opportunities for energy efficiency investments in all segments of the Kosovo building sector – central government, municipal, commercial and residential. After a study of legal and regulatory frameworks covering budgetary, banking, public finance, public procurement and energy laws, financing mechanisms are being designed with a roadmap for implementation. Housing Energy Efficiency Financing Mechanisms (Armenia). Working with the Alliance to Save Energy on an assignment for the European Bank for Reconstruction and Development GreenMax reviewed regulatory and financing best practices from Eastern Europe that encourage investments in multifamily energy efficiency, which could be adopted in Armenia. Home Energy Africa 100 MW Solar PV Project (Ghana). Home Energy Africa (HEA) is a developer of renewable energy projects in West Africa. Its inaugural project is a 100 MW solar PV project under development in northwest Ghana. GreenMax has been retained as financial advisor and project development manager by HEA to support implementation of the solar PV project. The GreenMax team managed the engagement of engineering and environmental consultants through a competitive solicitation process to carry out the Environmental and Social Impact Studies as well as the project's feasibility and interconnection studies. These studies have all been completed under GreenMax supervision. GreenMax undertook extensive due diligence for the US Trade and Development Agency of a proposal for the establishment of a Rural Electrification Agency in the country of Yemen. Co-representing the local project sponsor (Munesti Services), we prepared a preliminary feasibility study and investment memorandum for the development of 39 mini CHP plants ranging from 2-3MW, to be sited adjacent to district heating loads in Kishinev and other urban centers. GreenMax evaluated the feasibility of several hydropower projects in Tajikistan, three of which were recommended for further support from the USTDA. GreenMax analyzed the economic attractiveness for two planned government owned hydropower facilities, a 27MW station on the Nyaborongo River and a 10MW station on the Rukarara River. GreenMax also reviewed the economics for the Mission Hospital in Shiyra to develop, own and operate a 2MW mini-hydro grid. Kenya Geothermal Development Company Training (Kenya). GreenMax has been engaged by the African Development Bank as Lead Transaction Advisor to Kenya's Geothermal Development Company (GDC) to support development and implementation of the 460 MW Menengai Geothermal Project. The GreenMax team recently completed training on financial modeling of geothermal energy projects for GDC. Tanzania Geothermal Development Company Capacity Building (Tanzania). Under the DFID-Funded East Africa Geothermal Energy Facility program, GreenMax has been providing capacity building for Tanzania's Geothermal Development Company (TGDC), including preparation of key project finance arrangements and documents on negotiating concessions and PPAs, calculation and setting of cost-reflective electricity and steam tariffs, and establishing PPP joint ventures with private developers. The GreenMax team has also prepared an annotated model PPA and detailed matrix to guide PPA negotiations by illustrating different stakeholder positions on key issues. GreenMax has presented a series of workshops for TGDC on these topics including role-lay in mock negotiations. Sustainable Energy Finance Program (Chile). GreenMax has designed and presented a series of workshops on sustainable energy finance for energy efficiency and renewable energy project developers. GreenMax has provided a number of customized seminars on renewable energy and energy efficiency to leading private equity funds, covering topics ranging from global descriptions of energy market dynamics through to detailed analysis of acquisition targets in CEE. Ceska Sporitelna Bank (Erste Bank) & HVB Bank (UniCredito) Hungary. GreenMax presented training seminars on sustainable energy finance product design and credit analysis.